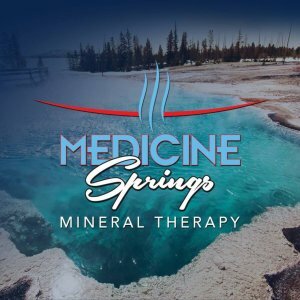 Medicine Springs Mineral Therapy is a terrific way to get even more therapeutic boost from your hot tub soak! Each formula contains the minerals derived from natural hot springs the world over that mimic the legendary advantages of soaking in their analgesic waters. Joint Relief is designed for joint pain & stiffness. Those with arthritis will appreciate this formula, as well as anyone who stands for long periods of time in their daily jobs. Skin Therapy is especially formulated for anyone with dry or sensitive skin, including eczema or psoriasis. If you’re a weekend warrior or especially active, Sport Formula is for you! The minerals in this mix give relieve to sore muscles and body tension caused by workouts. Great to use in your exercise soak, too. You’ll love it! Quick tip: If you loved Magma Onsen Beppu which is no longer available to the US market, you’ll find that Medicine Springs formulas are even better and longer lasting. And, unlike Magma Onsen Beppu, they’re made with no scents, coloring agents or fillers. Come to one of Olympic Hot Tub’s 5 locations. Try the hand test. One dip of your hand into a Hot Spring Spa with a Medicine Springs formula and you’ll feel how soft your skin is and how flexible your hand is. Choose a formula to turn your hot tub into a healthy, relaxing natural hot spring. These make terrific gifts for hot tub lovers as well! Incredible savings now till March 31st! Save $8.78 per box! Shop Medicine Springs now. Wayne–Medicine Springs is designed to be used in any type of hot tub. You do not need a salt system to use this product.